You can't exactly bring a Nantucket lighthouse home to your bathroom decor, but a wicker bathroom decor set may be the next best thing. It will help you conjure the beauty of Nantucket island, or any other island you love, wherever you live. And here's the best part: you can have beach bathroom decor and all the other items in our wicker bath accessories set without the sand. Wicker wastebaskets, wicker tissue box covers, bathroom toilet paper storage baskets, hand towel holders...even a wicker rattan cat bed. Choose a white, black or rattan wicker bath accessories set. Nantucket Style Cat Bed: 18" L x 15" W x 18" H - Cushion made of foam rubber and covered in evergreen colored, machine-washable fleece. 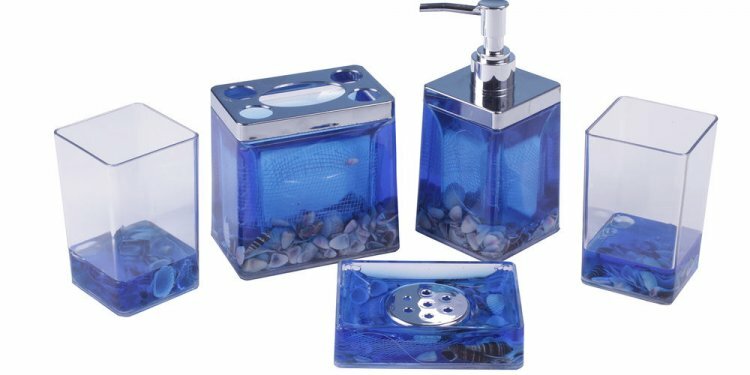 Want a more elegant way to have utilitarian bathroom decor than waste basket, tissue box cover and toilet brush wicker bath accessories set? And now your cat bed can be a part of your wicker bath accessories set too with our adorable wicker cat bed baskets.